Have you ever wondered what snails creep, galletting or bungeroosh means? Could you tell the difference between a right and left handed flint mason? Do you know what Phoenix sand is? Would you know what to do if you came across a paramoudra? These and many more questions will be answered by David during his talk. You will never look at flint walls the same again. Flintman, David Smith has been working in Lewes and the surrounding area for more than 20 years. His talk will cover the history of flint, showing its use and versatility as a building material. There are various styles of laying and also a variety of finishes. These can vary from construction period and importance of structure, to region and specific location. As well as differences in colour, shape and form, the applications of flint have varied within its historical and functional context. Lewes is no exception to this. Using local references, he will also demonstrate how flint has given Lewes its distinctiveness with examples of the good, the bad and the unusual. 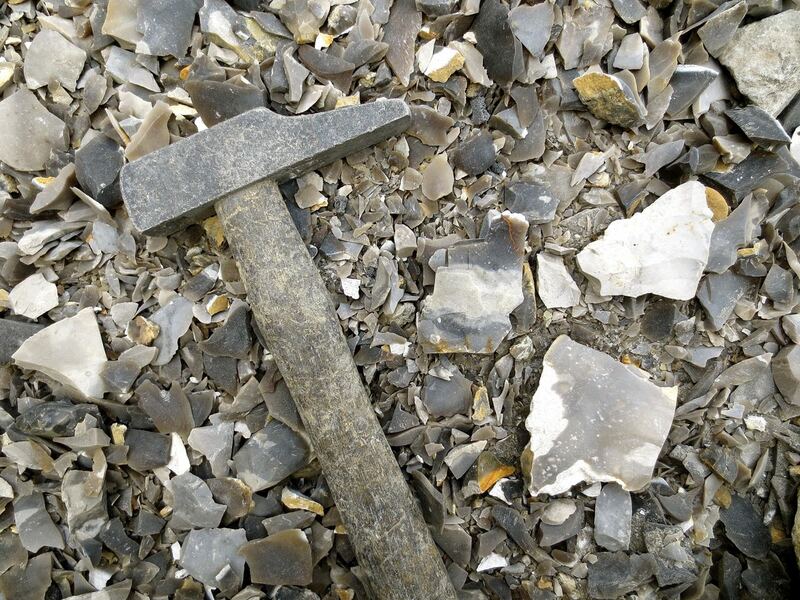 To round off the lecture, David will give a demonstration on the art of flint knapping.